It’s not often that Young Hickory has a big news week, but a couple of developments have quite a few people talking about James K. Polk lately. First up: his corpse might be taking up new quarters. It wouldn’t be the first time it’s happened. Like a lot of other historical figures, Polk’s mortal coil has had quite the active career. He died of cholera at Polk Place, his Nashville home near the site of the present Tennessee State Capitol, just three months after leaving office. Despite his request to be laid to rest there, he was initially buried in a cemetery on the outskirts of the city as demanded by law for cholera victims. Shortly thereafter his remains went back to Polk Place for interment, where they stayed for more than forty years. But in 1893, the bodies of Polk and his wife got relocated to the Capitol grounds and laid to rest beneath a monument designed by the same architect responsible for the Capitol building itself. It wasn’t where the former president wanted to spend the afterlife, but it was close—just a short distance from Polk Place, which got demolished in 1900. There the matter (and Polk) rested until a current proposal that state lawmakers are considering, which would entail moving the remains again, this time to the President James K. Polk Home and Museum in Columbia, TN. Polk’s father built the Columbia house in 1816, and the future president lived there until his marriage in 1824. The site’s curator says the move would accord with Polk’s desire to be buried at home, since the Columbia museum is his only residence still standing (other than the White House). Joey Hensley, a state senator who supports the reinterment, has also argued that the current tomb is too easy to overlook. The relocation is one step closer to happening, since the state senate has given its approval. But both houses of the General Assembly, the state historical commission, and the courts have to agree before anybody starts digging, and the state historian thinks it’s a bad idea. Personally, I think the sensible thing to do is leave the grave where it is. In his will, Polk didn’t request burial “at home,” but specifically at Polk Place. Since Polk Place itself is gone, fulfilling that request to the letter isn’t possible, but the State Capitol is just a short walk from where the house stood. It seems as appropriate a spot as any, especially since it’s a place of honor at the seat of the state government. That’s just my take. The other Polk news item is the publication of another volume of his papers by the fine folks at UT’s James K. Polk Project. This new volume includes valuable material on the end of the Mexican War and the consequent U.S. territorial gains, one of the most important developments of Polk’s presidency. UPDATE 4-18-17: The lecture’s postponed for now. New date and time TBA. This year’s Milton M. Klein lecture at the University of Tennessee is going to be a real treat. Historian Greg Grandin will discuss “Slavery in Herman Melville’s America” in the Howard Baker Center‘s Toyota Auditorium at 3:30 p.m. on April 20. Dr. Grandin is a professor of history at NYU and the author of a number of acclaimed books, including Fordlandia: The Rise and Fall of Henry Ford’s Forgotten Jungle City a National Book Award Finalist and a fascinating read; Empire’s Workshop: Latin America, the United States, and the Rise of the New Imperialism; and The Empire of Necessity: Slavery, Freedom, and Deception in the New World, which won the Bancroft Prize, was a New York Times Editor’s Choice, and was NPR’s Maureen Corrigan’s selection for the best book of 2014. Grandin is also a member of the American Academy of Arts ad Sciences and the recipient of a John Simon Guggenheim Memorial Fellowship. The lecture is free, and copies of Empire of Necessity will be available for sale at the book signing immediately afterward. This is a great opportunity to hear a master of the historical craft discuss his work. We haven’t had a Gratuitous Dinosaur Post in a while, but a study just released in Nature has riled up paleophiles everywhere. And little wonder. If this hypothesis holds up, it will rewrite everything we’ve always thought we knew about dinosaur evolution and classification. 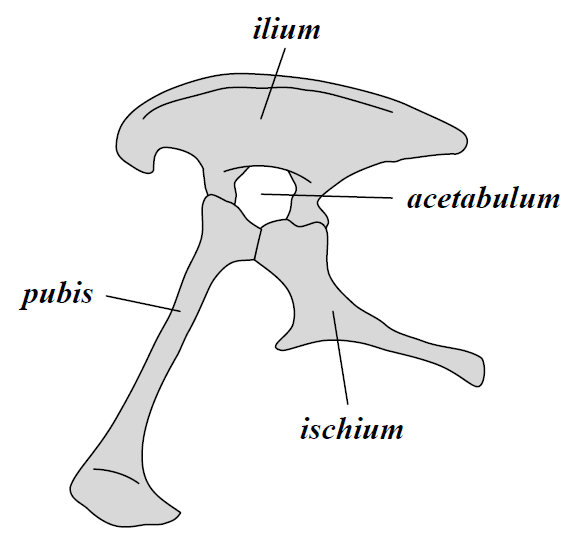 For about 130 years, scientists have categorized dinosaurs into two major groups named for the appearance of their hip bones. The Saurischia (“lizard-hipped”) included theropods (meat-eaters like T. rex and Velociraptor were members of this group) and the massive, long-necked sauropodomorphs. The Ornithischia (“bird-hipped”) included the horned dinosaurs like Triceratops, armored dinos like Stegosaurus and Ankylosaurus, the “duck-billed” hadrosaurs, and other herbivores. Oddly enough, it was the “lizard-hipped” theropods, not the “bird-hipped” dinos, that gave rise to birds. Go figure. 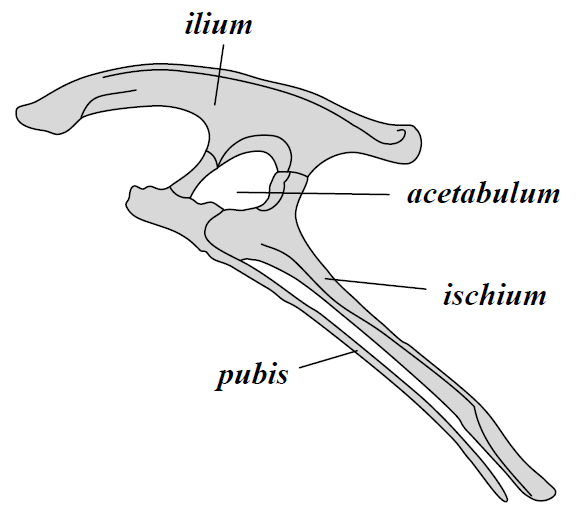 Anyway, after looking at hundreds of anatomical features in dozens of dinosaur species, the authors of the new study concluded that this old classification scheme is wrong. Their scheme moves the theropods and bird-hipped dinosaurs together into a new group, the Ornithoscelida, a name originally coined back in the late 1800s that fell out of favor. The long-necked sauropodomorphs, meanwhile, would remain in the Saurischia, along with an early group of meat-eaters, the herrerasaurids. As far as the study of dinosaur evolution and classification goes, this is huge. It overturns the family tree that has been in place for decades, upending a lot of conventional wisdom about dinosaur relationships. It also has important implications for the question of when and where dinosaurs first originated. But it also makes sense of some puzzling paleontological questions, especially some similarities between meat-eating and plant-eating dinosaur groups that will seem less surprising if those groups are more closely related than we’ve thought. It could turn out to be a real paradigm shift, one that may prompt the re-writing of books and the overhaul of exhibits. Of course, all this is assuming the new hypothesis catches on; it’s just one study, albeit one that’s getting a lot of attention. It seems like there have been more remarkable and revolutionary discoveries in the past ten or fifteen years than in any comparable period of time since Richard Owen coined the word “dinosaur” back in 1842. People tend to think of the late 18oos—with the romance of frontier digs and those spectacular finds—as the golden age of dinosaur hunting, but maybe we’re living in the true golden age of dinosaur science right now. Can’t help wondering if they’re going to have to rearrange the “Hall of Saurischian Dinosaurs” at the American Museum in New York, though. Dr. Tiya Miles, Mary Henrietta Graham Distinguished University Professor at the University of Michigan, is coming to the University of Tennessee to discuss the historical intersections between African Americans and Native Americans. Her lecture, “Call of the Ancestors: Historical Imagination and the Black and Native American Past,” will be in the Hodges Library’s Lindsay Young Auditorium at 3:30 on March 20. Miles is the author of Ties that Bind: The Story of an Afro-Cherokee Family in Slavery and Freedom, The House on Diamond Hill: A Cherokee Plantation Story, and The Cherokee Rose: A Novel of Gardens and Ghosts. She received a MacArthur Foundation Fellowship in 2011. The lecture is free and open to the public, so I hope those of you who are in the Knoxville area will come by. Should be interesting! A week ago I came down with a horrible respiratory infection that left me bedridden for several days and caused me to miss nearly an entire week of TA duty. It also left me unable to make much progress on my dissertation research. The problem wasn’t just the fact that I didn’t accomplish as much as I’d planned; the problem was that days passed without me doing anything to move my project along. Some of my mom’s friends who are involved in creative writing used to say, “You’ve got to touch it every day.” I didn’t know how right they were before I started in on my dissertation in earnest. If you’re working on a substantial project, don’t let a twenty-four-hour period pass without doing something—no matter how small—to keep it moving along. It’s not so much a time issue as a quality-of-work issue. I find that if I let a day pass without engaging the project, I end up losing more than just the hours. I lose my bearings and my momentum, too. When I get back to it, it’s like walking into a room that’s been sealed off for weeks; the air is stale, the furnishings are unfamiliar, and there’s a fine layer of dust everywhere. You’ve got to keep everything in motion or a kind of general funk settles in, and you won’t be at your best until it dissipates. I should add that you don’t necessarily have to be writing every day. The resolution to do a little something every day doesn’t necessarily mean you should always be churning out prose. (Most of what I’m doing at this point doesn’t involve putting words together.) But you should be getting your hands dirty somehow, whether that means locating and poring over sources, reading through notes, juggling bibliographic entries, or knocking out grant proposals. Even if you’re just putting in twenty or thirty minutes a day, do it. The point isn’t those twenty or thirty minutes, but making sure you’ve engaged with your project before hitting the hay. The only exception to this rule comes when you’ve completed a draft, at which point it’s best to let it sit for a while before you start revising. But if you’re still in the research or rough draft phase, a day off will ultimately do more harm than good. And on that note, I’ve lost too many days to recovery already. Time to pop a cough drop and get back at it.